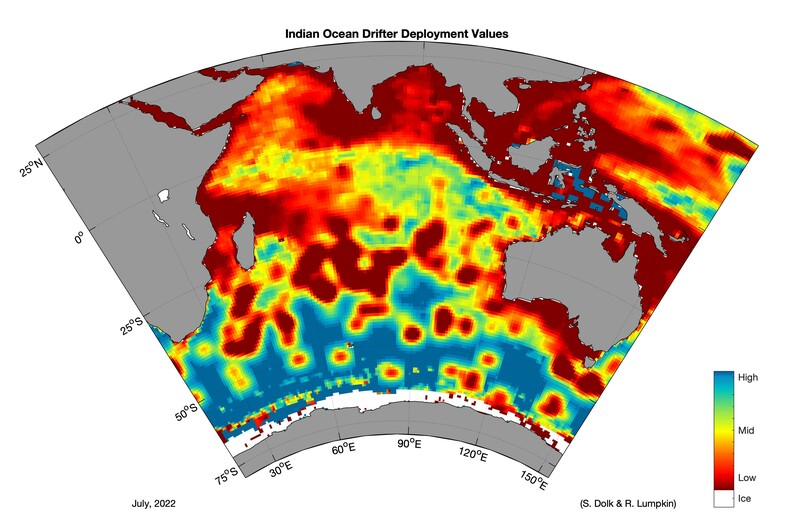 Data from Global Drifter Program (GDP) buoys is available in various formats. 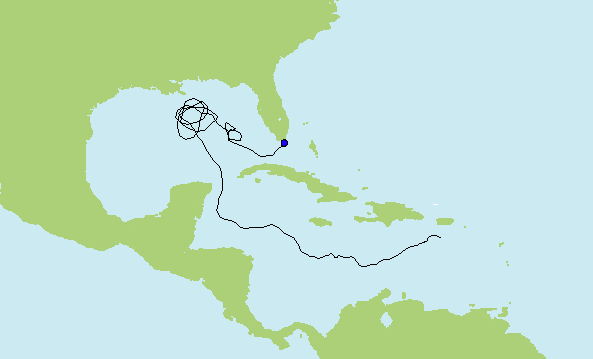 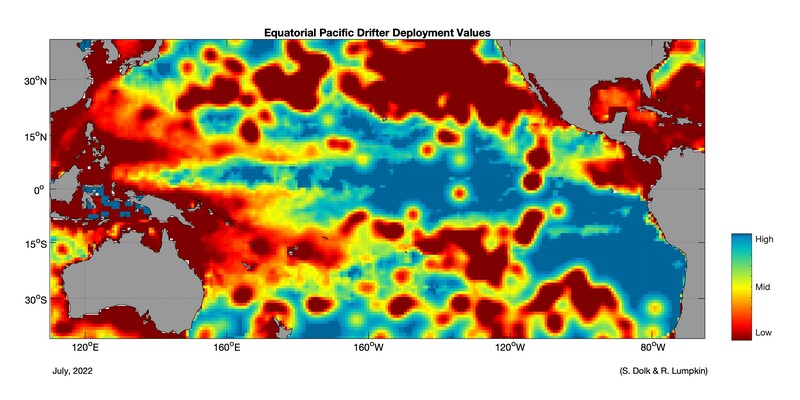 Real time drifter data and graphs are distributed on the Global Telecommunication System (GTS) for improved weather and climate forecasting and ocean state estimation. 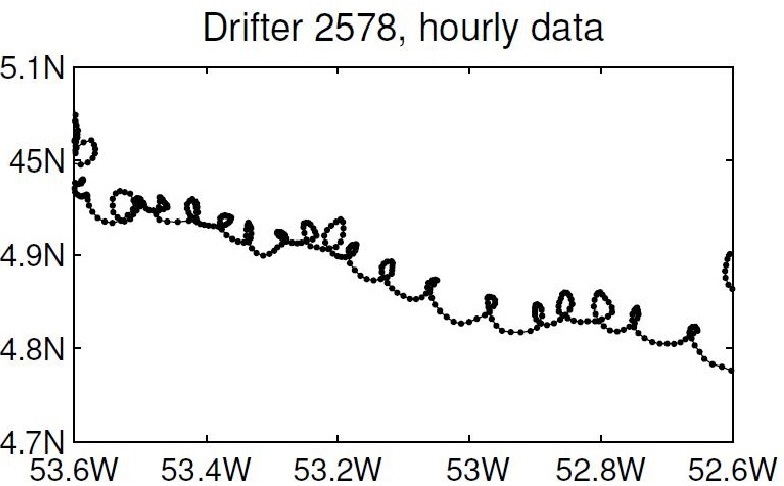 To access real-time drifter data and/or plot trajectories for recently deployed drifters, select the desired option at Real-Time Drifter Data. 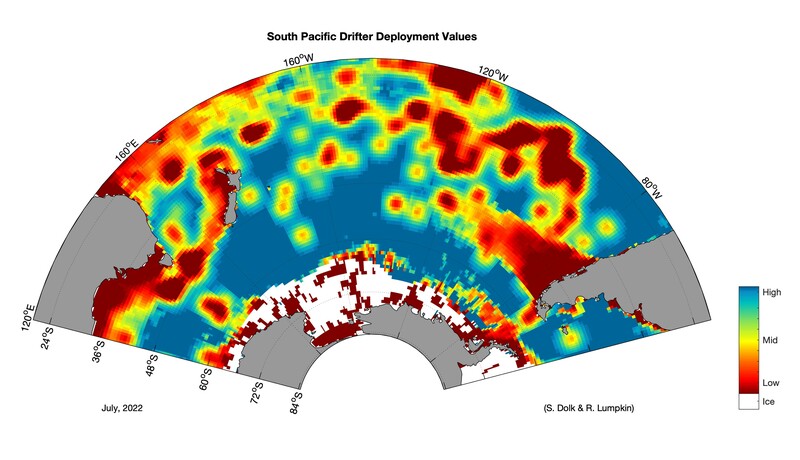 The Drifter Data Assembly Center (DAC) at AOML applies quality control procedures to drifter data (position and temperature) and interpolates them to 6-hour intervals using an optimum interpolation procedure called kriging, which is commonly used for two and three-dimensional analyses. 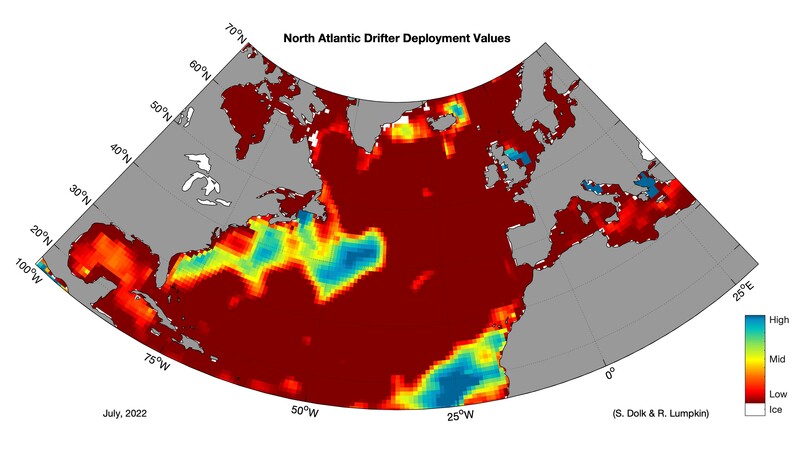 Interpolated data, and metadata, from more than 30,000 drifters are available for download at Six-Hourly Interpolated Drifter Data. 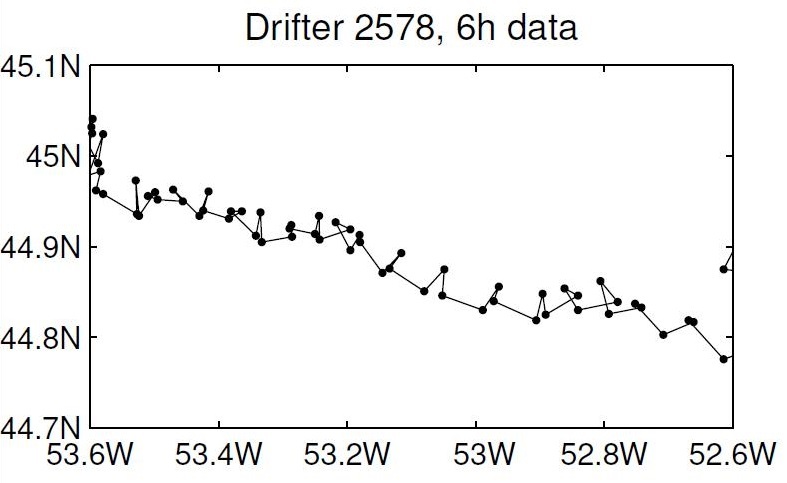 These data go back to the earliest available GDP observations in 1979. 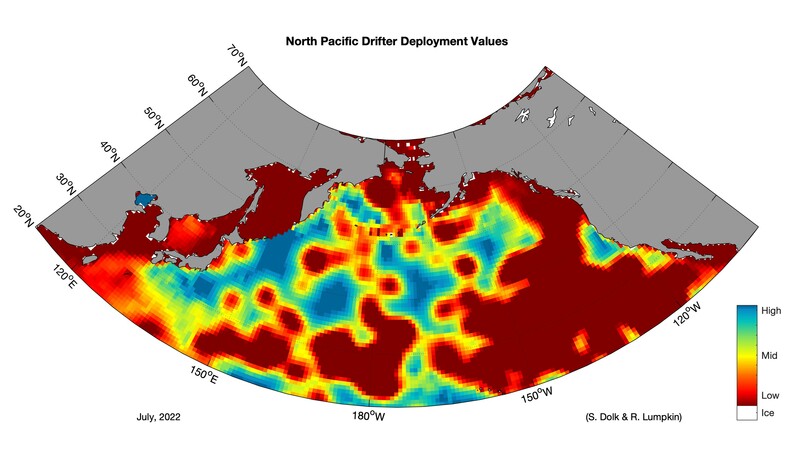 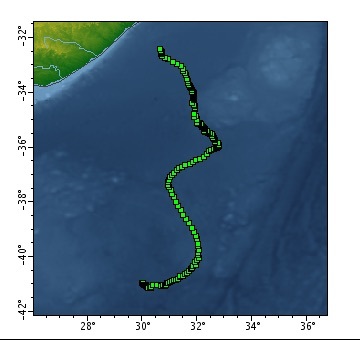 The hourly drifter dataset is a valuable new tool for the study of relatively small-scale and high-frequency oceanic processes. 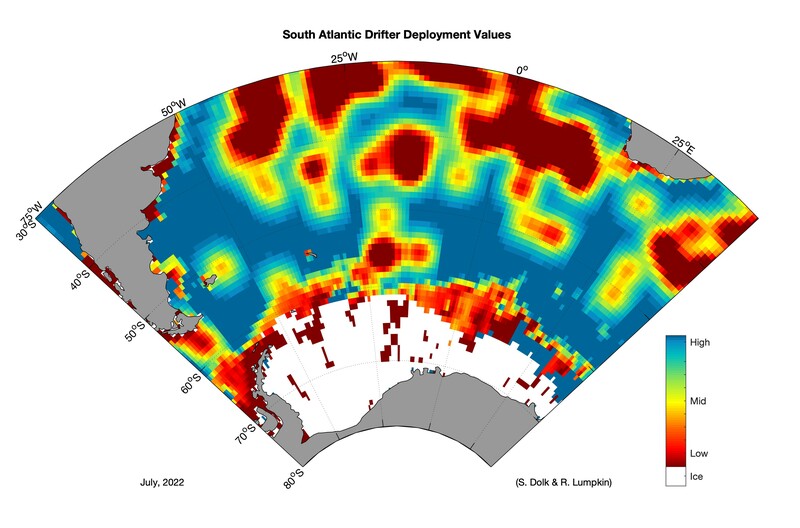 In particular, velocity rotary spectra demonstrate that high frequency tidal and internal wave motions are detectable globally. 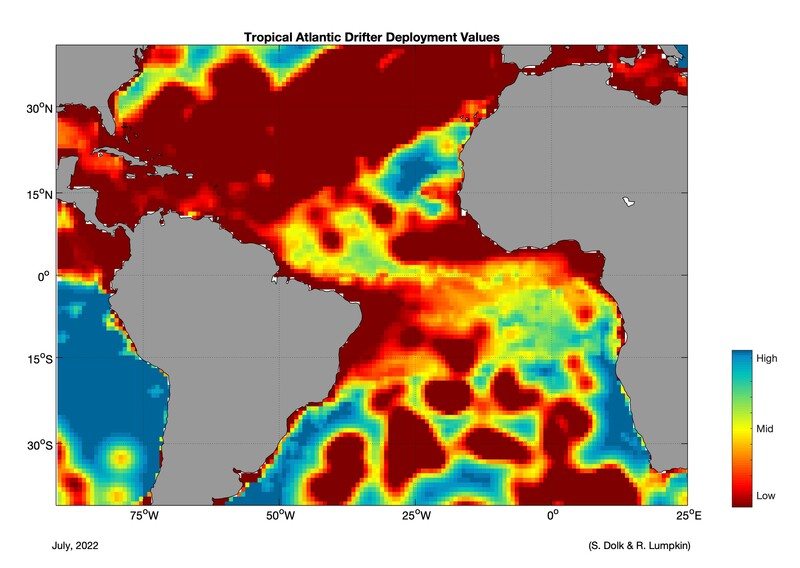 To learn more about this new tool and download the entire dataset, visit Hourly Interpolated Dataset. 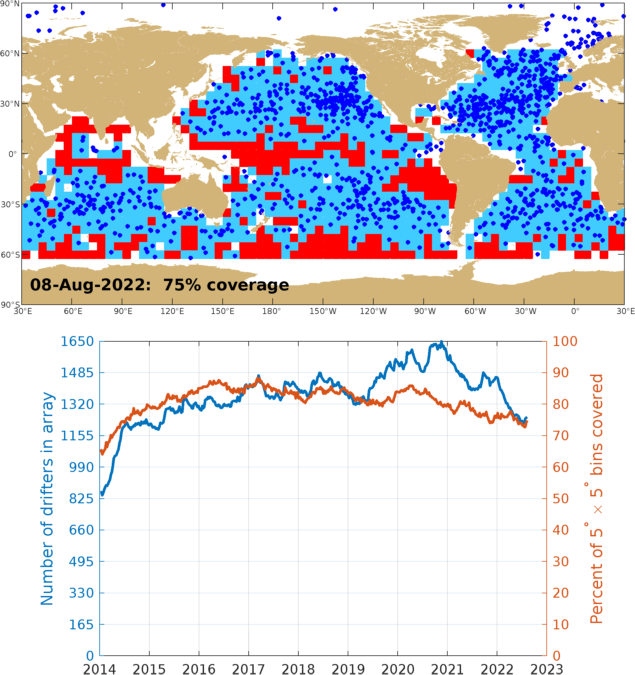 These data are available primarily since the early 2000's when satellite coverage was sufficient to resolve hourly motion. 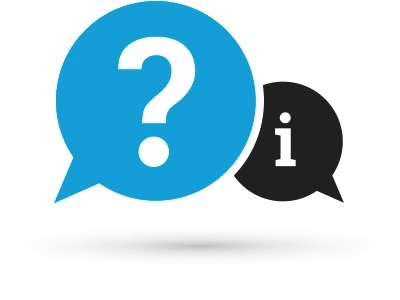 For answers to some of the most frequently asked questions related to drifter data, visit the Drifter Data FAQ webpage.